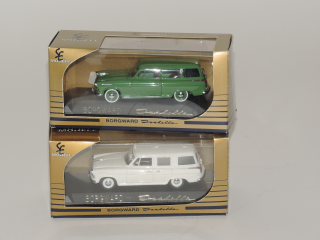 SE Modell-Solido 1:43 2x Borgward Isabella Mint in Box. 1x white, 1x Green. 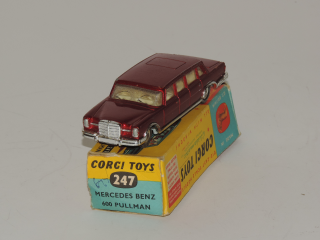 Corgi Toys 247 1:43 Mercedes Benz 600 Pullman, Excellent in box. With Operating Windscreeen Wipers. Box self is poor. 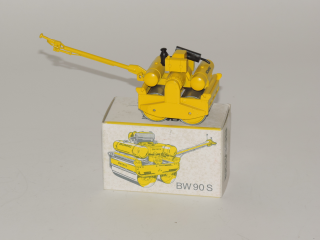 NZG 248 1:20 Bomag BW 90 S Compaction machine Near Mint in Box. 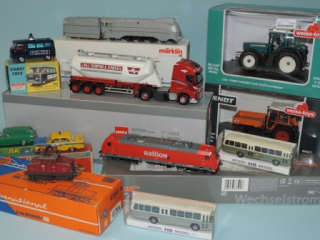 Tekno 861 1:50 Scania 110 Super with Lowloader and CEF Bus. 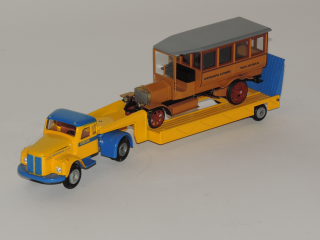 Tekno 861 1:50 Scania 110 Super with Lowloader and CEF Scania-Vabis Bus 1911 Nordmarkens Automobil. All Near Mint. 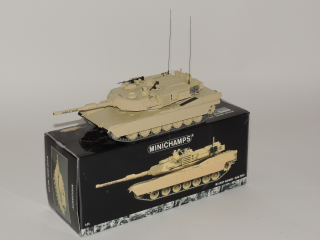 Minichamps 350 043000 1:35 M1A2SEP Abrams Military Tank Near Mint in Box. This item has NO inner Box !!! 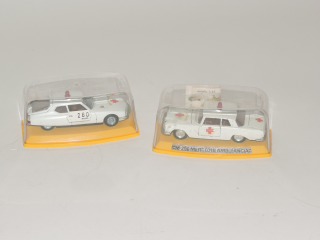 Pilen M296 1:43 2x Ambulancia Excellent in Box. 1x Mercedes, 1x Citroen SM. 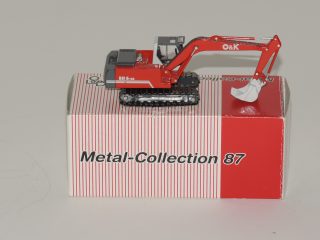 NZG 474 1:87 Die-Cast O&K 6-22 Excavator Mint in Box. 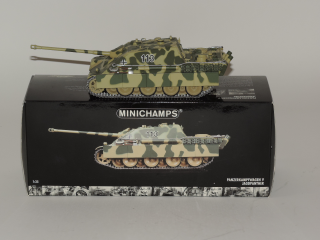 Minichamps 350 019020, 1:35 The Panther Panzerkampfwagen V.Near Mint in Box. 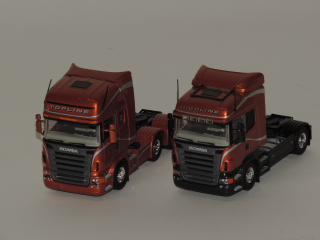 Tekno 1:50 Set Demo Trucks Scania R420 4x2 and R620 6x2, RAI 2005 Near Mint. This Set Comes with a Certificate, this is No. 140. 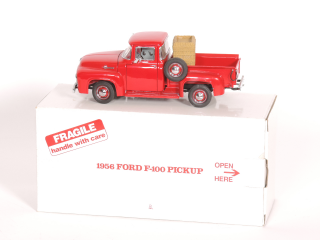 The Danbury Mint 1:24 1956 Ford F-100 Pickup Truck Near Mint in Box. Item should be mint but there is something with the paint on the hood and Roof. We think the item was not clean enough or not well polisched before the end of lacquer. Paperwork is Present. 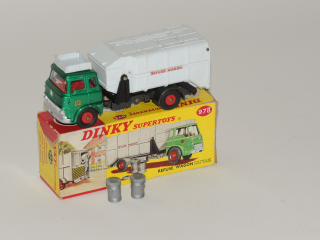 Dinky Toys 978 Bedford TK Refuse Wagon with 2 Bins with Lids. Excellent in Poor Box. 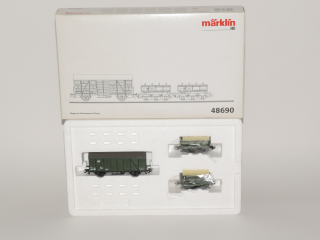 Scale 152 mm 1964-1980. 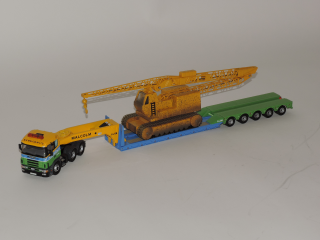 Corgi 1:50 Scania 144G Class L with Lowloader and Tower Crane. 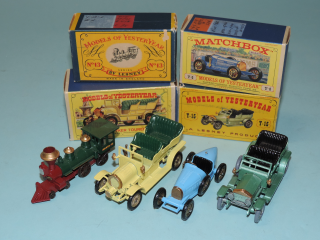 W.H.Malcolm LTD. Near Mint. 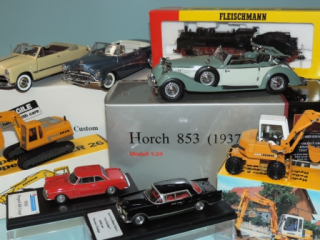 Marklin 46158 H0 Church Organ Transport Freight Car Set Johann Sebastian Bach Mint in Box. 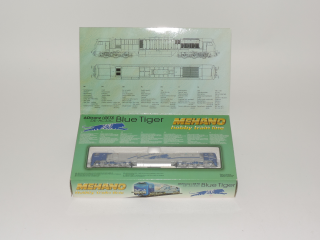 Mehano T169 H0 DE-AC33C ADtranz GETS Blue Tiger Diesel Locomotive Near Mint in Box. This item is Converted with LokSound V1.0. 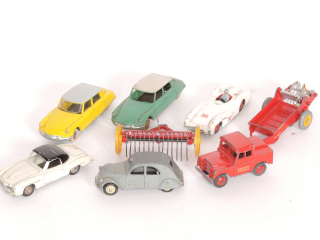 Dinky Toys 8 Different models in Good and Excellent Condition. #2x 24C Citroen DS 19 , Yellow is excellent, Green is Good. #24H Mercedes 190 SL Coupe, Good. #237 Mercedes Benz. #24T/535 Citroen 2CV, Good. #27K Hay Rake, Good. #321 Massey Harris Manure Spreader, Good. 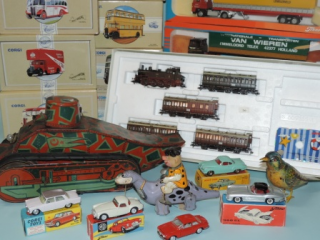 #255 Mersey Tunnel Van, Good. 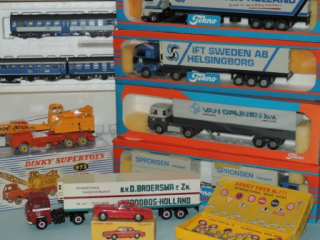 Marklin 48690 H0 Track Scale Calibration Train Car Set. Near Mint in Box. 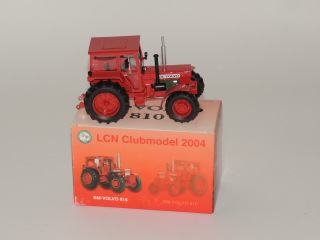 Agritoy 1:32 LCN Clubmodel 2004 BM Volvo 814 Near Mint in Box. Only 905 are made. Prouvence Moulage 1:43 2x Built kit Alfa Romeo Near Mint in Box. 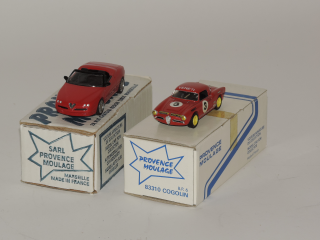 (boxes not Original for these cars) 1x Alfa GTV. 1x Alfa Spider. Nice built items. Lion Car 71/72-73 2x DAF Truck Near Mint in Box. 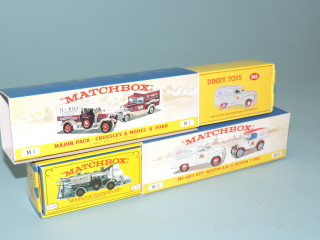 Lion Car 71/72-73 2x DAF Truck Near Mint in Box. 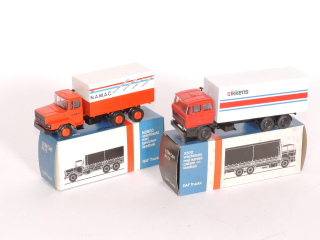 #71/72 DAF N2800 NAMAC 1982. #73 DAF 3300 Sikkens. 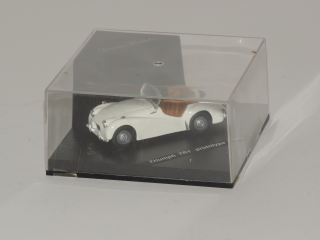 Derrez Models code 3 model 1:43 Triumph TR1 Prototype 1952, this is no. 30 of 30. Near Mint in Box. 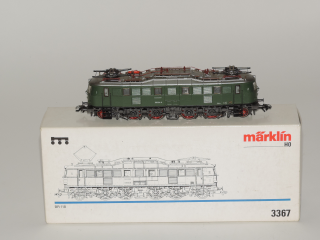 Marklin 3367 H0, DB BR118-E18 Electric Locomotive Near Mint in Box. 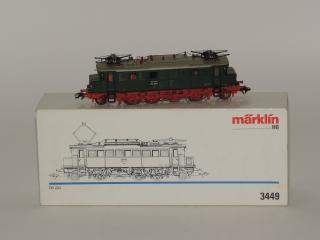 Marklin 3449 H0 BR204 (E04) Electric Locomotive Near Mint in Box. This item is Converted with Digital Plus LE1025 by Lenz.